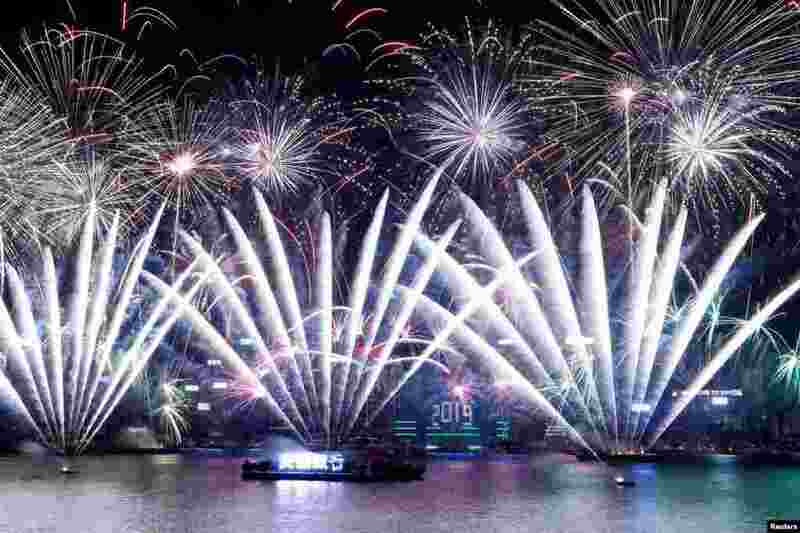 1 Fireworks explode over Victoria Harbour and Hong Kong Convention and Exhibition Centre during a pyrotechnic show to celebrate the New Year in Hong Kong, China. 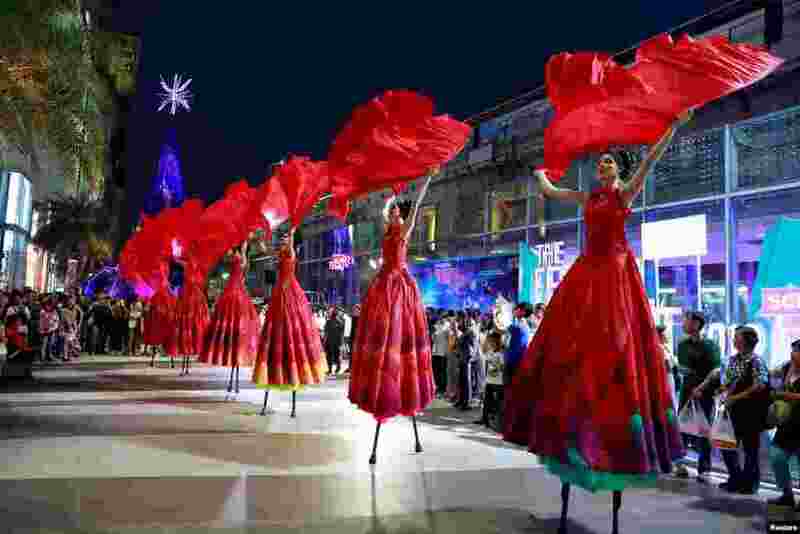 2 Artists perform at a shopping center during the New Year festival in Bangkok, Thailand. 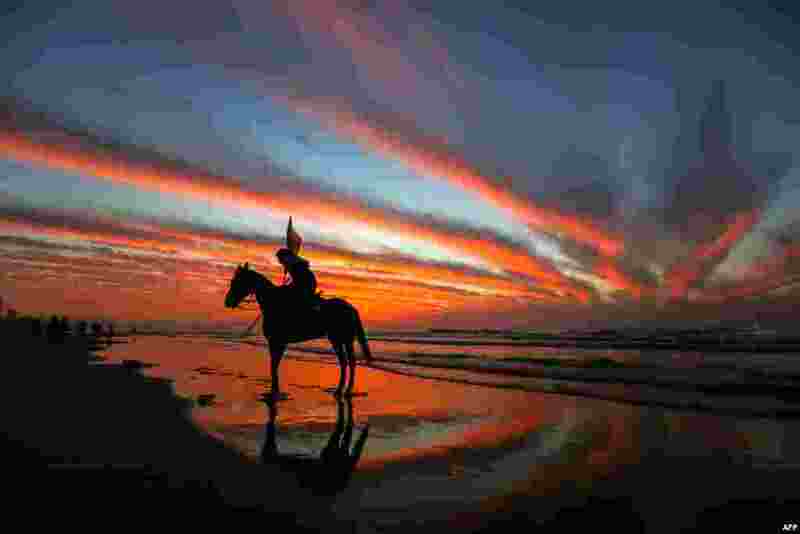 3 A Palestinian horseman rides on the beach at sunset a few hours prior to the New Year's celebrations, in Gaza city. 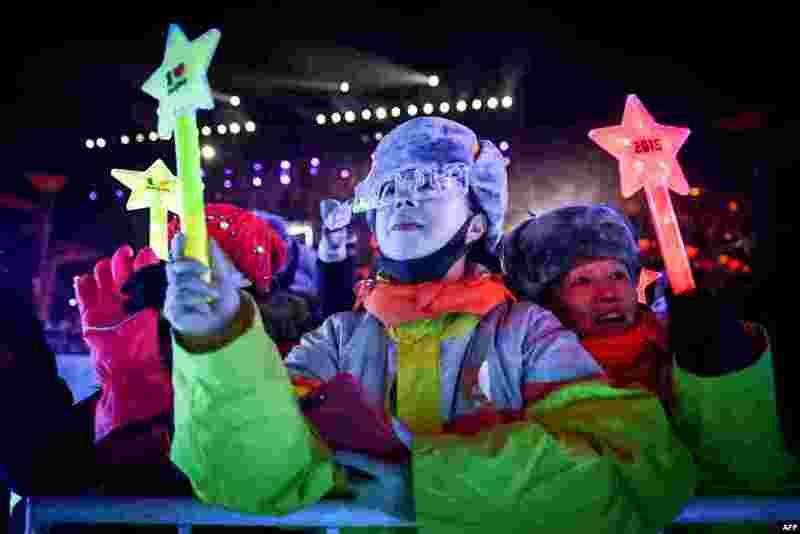 4 People wait for celebrating the New Year during a New Year's Eve countdown event in front of Beijing's National Stadium, known as the Bird's Nest, in Beijing, China.